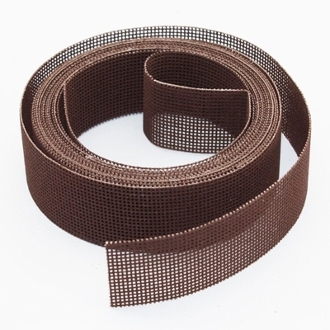 Rectorseal’s Open Mesh Sandcloth is a fully waterproof product with a tear resistant nylon backing. If the material becomes loaded with fillings, simply rinse in water and tap out. A premium abrasive with top quality performance. Great for repair work as well as new. One 1-1/2 in. x 10-Yard Open-Mesh Sand Cloth roll, in a dispenser box. Made from lightweight, strong, meshed polyester nylon material. Cleans, polishes and debars all types of metal. Great for copper pipe and fittings.